temperature, elevation and soil types commonly found from region to region. 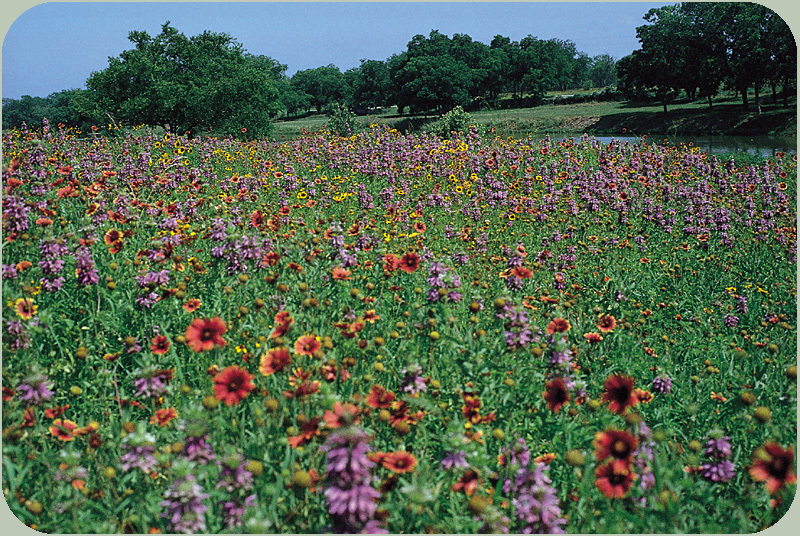 The wildflower species included within each blend were selected according to plant height, blooming period, color, and the ability to reseed. 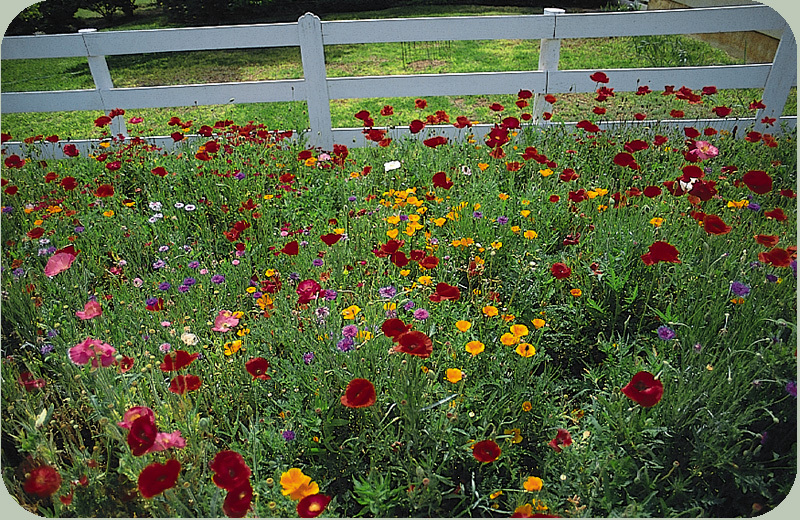 Each regional mixture contains a balance of annual and perennial varieties to provide a broad range of colors and a lengthy display of blooms. Exotic garden varieties or domesticated species have been included to assure maximum color during the first season and to act as a nurse crop for the slower growing perennials. During the second season, the perennial species will begin to bloom giving the area a noticeably different appearance than the first year.